The Maryland State Soccer Association participates in the USASA Risk Management Program by virtue of membership with US Adult Soccer. This program assists all MSSA members in reducing out-of-pocket financial risk involved in the game. 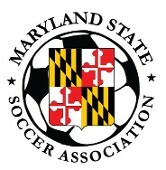 The comprehensive plan provides protection for every player, team and league and is one of the benefits of membership with the Maryland State Soccer Association. US Adult Soccer purchases the insurance coverage on behalf of its member players, teams and leagues of its state and national organizations for protection in the event of claims arising out of activities organized by its members. The insurance premium is part of the player registration fee that is paid annually. The participant accident risk policy covers each registered player resulting from accident injury while playing for the team during sanctioned amateur soccer activities in scheduled league games, US Adult Soccer sanctioned tournaments & official practice sessions of the team. The policy is a secondary coverage that helps defray costs for medical and dental expenses, which for the most part is to assist for payments not covered by a primary medical insurance policy. If an injured member does not have primary coverage, the policy is applicable up to its coverage limits. The maximum accident medical benefit is $5,000. The deductible is $400 of eligible expenses. Some expenses are limited per category. The coverage is a reimbursement to the injured players. The player is responsible for payments of services. The insurance does not pay directly to any medical provider. To file a claim, go to these Instructions. As this coverage is excess of other insurance, the claimant must submit other insurance information (if available) when requested. The claim must be received with or without attachments within 90 days from the date of the accident or benefits may be denied due to untimely filing. The claim form is a fillable form using Adobe Reader and it is requested that all information be typed. The form may be saved with all of its contents when using Adobe Reader. The claimant must sign page 3 of the form, the one with the title Authorization at the top. The form will be reviewed by the State Association Verification Officer, which includes coordination with the respective league. It will then be sent to US Adult Soccer. US Adult Soccer will forward the documents to K&K Insurance for processing. Once the completed form is received by K&K Insurance Group, Inc/Specialty Benefits, the claimant will receive a claims acknowledgement letter. The policy is in effect only for activities that fall under the operation of sanctioned games and events that are recognized by US Adults Soccer and the Maryland State Soccer Association. If an organization is involved in other non-soccer activity, the policy does not apply. All players must be registered prior to participating in any game, practice or tryout. The policy protects players and teams only for affiliated/sanctioned games and tournaments. If a team takes part in a tournament that is not affiliated with a US Adult Soccer member, then the coverage does not apply (for example, indoor tournament not organized or sanctioned by a US Adult Soccer member). For members who run tournaments, it is necessary to have teams not affiliated with a US Adult Soccer member to register their players in order to participate. Otherwise, the tournament is not covered under the policy. The Directors and Officers Liability Insurance protects our member leagues against claims arising from the negligent acts, errors or omissions allegedly committed by a director or officer of the organization while acting within official capacity in conjunction with the performance of their duties as they relate to their soccer organization. It is available to all affiliated leagues of the Maryland State Soccer Association at no cost and includes coverage for teams as well. The policy applies to individuals who are a duly elected director or trustee, duly elected or appointed officer, employee or committee member (whether or not salaried) of an organization and any natural person acting in a voluntary capacity on behalf of an organization. There is a $25,000 deductible for general claims and a $50,000 deductible for employee practices. Additional coverage is available with deductibles as low as $1,000. Waiver and release agreements are tools that may reduce the risk or severity of claims. Signing a waiver warns the participants of risks inherent to the activity in which they choose to participate and triggers the assumption of risk defense. The participant may essentially relinquish the right to file a claim. Having a signed waiver in place provides protection which may conclude a claim early in the process, reduce the expense defense costs and the stress of a potential lawsuit. It is required under the US Adult Soccer Risk Management Program that every registered player acknowledges and agrees to the Assumption of Risk and Release of Liability in order to participate in our activities. This waiver may be signed on paper or electronically through an online registration. The statute of limitations in the State of Maryland for personal injury, property damage and product liability is three (3) years. The signed waivers are to be kept for four (4) years from signing of the documents. For those waivers that were accepted online, check with your provider concerning how those records are kept. It is also recommended that the waiver be sent as part of the confirmation message for those players who register online.